Barbados-born Archer, who shone for Sussex last season and in Australia’s Big Bash Twenty20 competition for Hobart Hurricanes, is eligible for national selection under new England and Wales Cricket Board residency rules. The 24-year-old could get a World Cup call-up if he impresses in the warm-up games as changes can be made to the squad until May 23, seven days before their tournament opener against South Africa at The Oval. Joe Denly, whose last ODI appearance came in October 2009, retained his place in the World Cup group as a backup spinning all-rounder. Although he could be among the pool of players, including Liam Plunkett and Tom Curran, who will feel the pressure if Archer performs well over the next few weeks. Archer’s ability to bowl at more than 90 miles per hour and his lower-order power-hitting skills have earned him a number of high-profile admirers, including England regulars Ben Stokes and Jos Buttler. 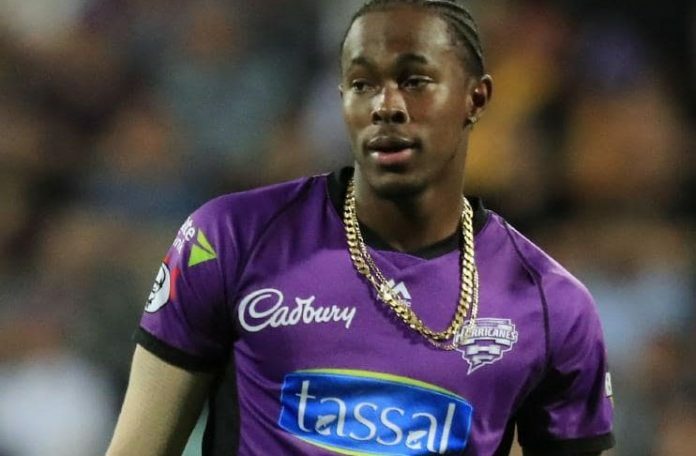 “The selection panel has been impressed with Jofra Archer’s performances in domestic and franchise cricket. He is a very talented and exciting cricketer,” national selector Ed Smith said. “In line with ICC (International Cricket Council regulations, we have to name a preliminary squad of 15 for the ICC Men’s Cricket World Cup before April 23,” Smith added. Fast bowler Chris Jordan, Archer’s Sussex team mate, could also make a comeback to the ODI setup against Pakistan, despite playing his last 50-overs game for England in September 2016. “Chris Jordan, a regular in IT20 squads over the past few years, has continued to develop as a cricketer — as we saw in the IT20s in the West Indies. He fully deserves his return to the ODI squad,” Smith said. England’s World Cup squad: Eoin Morgan (captain), Moeen Ali, Jonny Bairstow, Jos Buttler (wicketkeeper), Tom Curran, Joe Denly, Alex Hales, Liam Plunkett, Adil Rashid, Joe Root, Jason Roy, Ben Stokes, David Willey, Chris Woakes, Mark Wood. England squad for Pakistan ODI series: Eoin Morgan, Moeen Ali, Jofra Archer, Jonny Bairstow, Jos Buttler, Tom Curran, Joe Denly, Chris Jordan, Alex Hales, Liam Plunkett, Adil Rashid, Joe Root, Jason Roy, Ben Stokes, David Willey, Chris Woakes, Mark Wood. England squad for Ireland ODI and Pakistan T20: Eoin Morgan, Jofra Archer, Sam Billings, Tom Curran, Joe Denly, Chris Jordan, Alex Hales, Liam Plunkett, Adil Rashid, Joe Root, Jason Roy, James Vince, David Willey, Mark Wood.